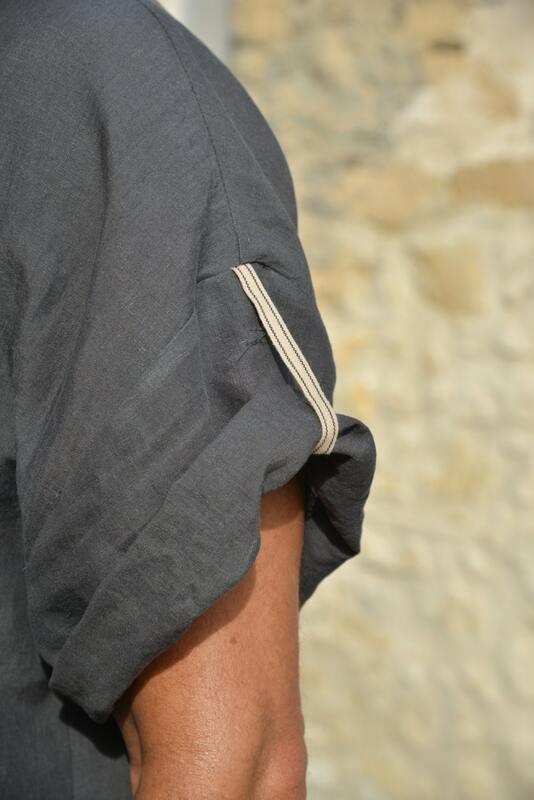 CLASSICO. 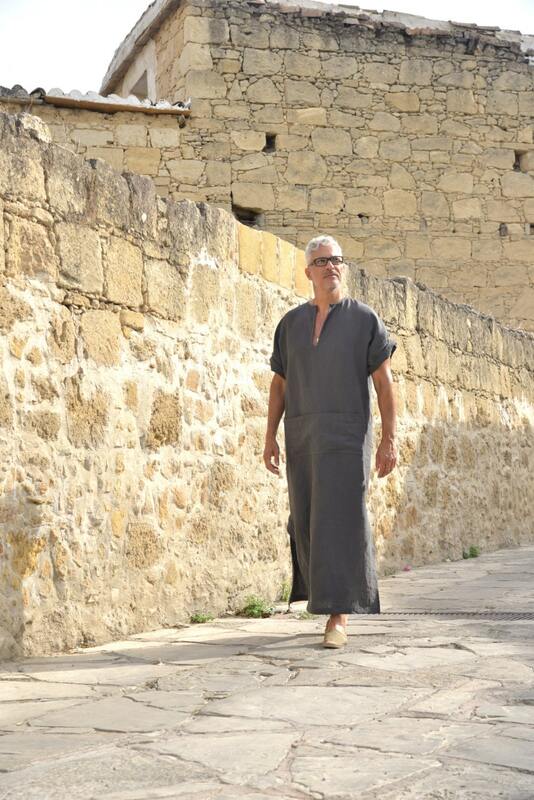 Black men's pure linen tunic. 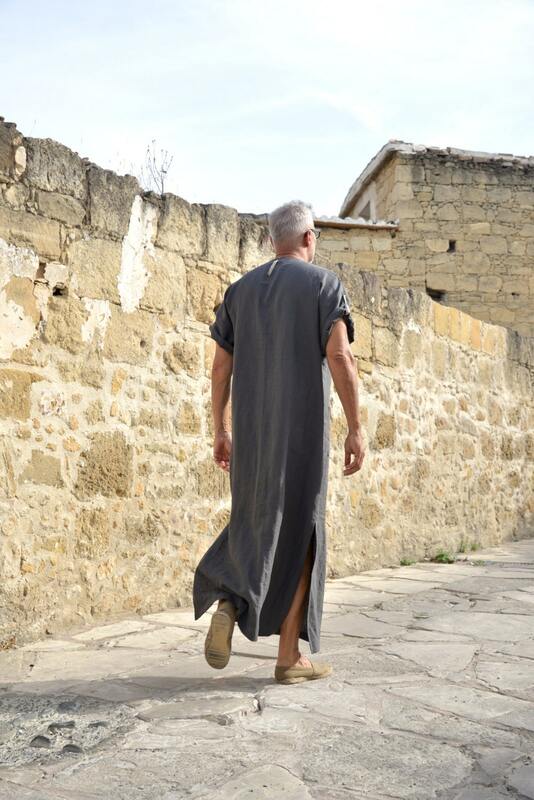 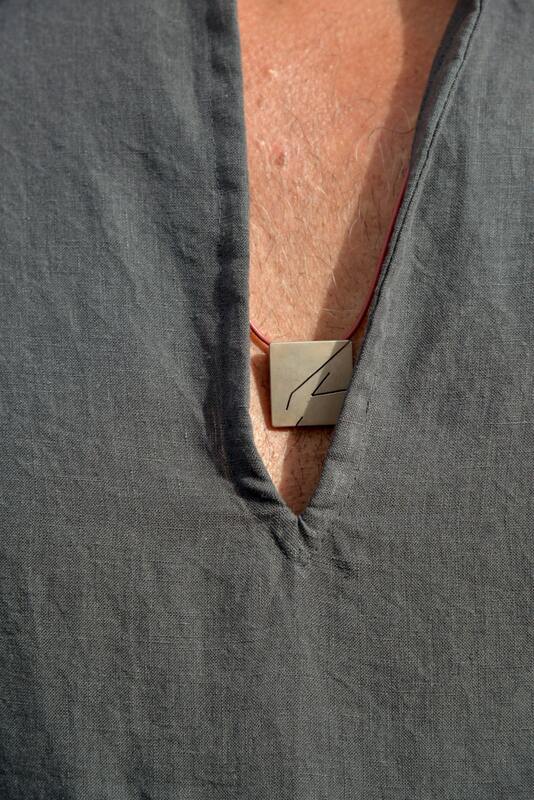 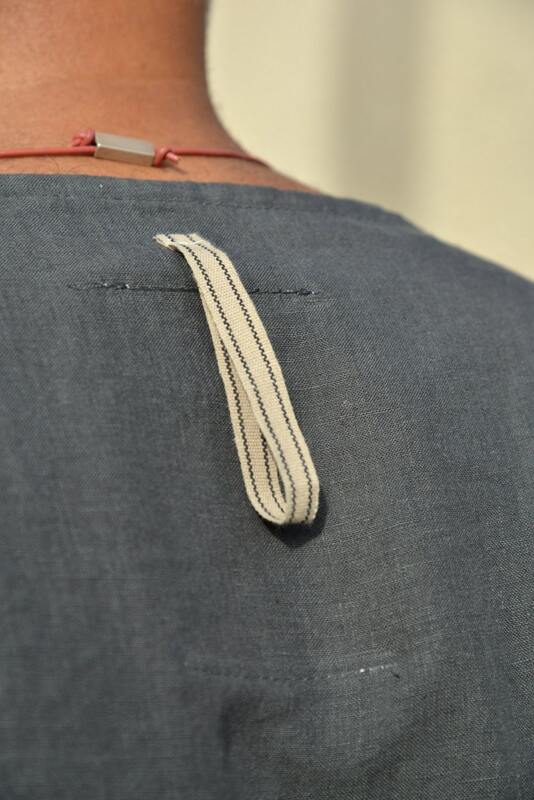 Pre washed linen caftan with pocket, short sleeved for men.